Please call owner Vince at 847-704-0258. Boat is in Kenosha, Wisconsin. 2 new 454 big blocks with only 125 hours. 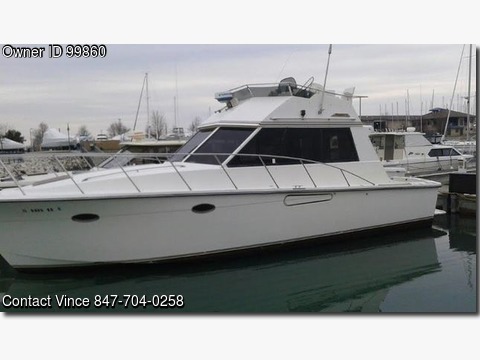 2 bedrooms, all new teak interior, great boat for fishing and cruising, full kitchen, big bathroom boat is in great condition.